What Do The Pros Think Of Call Of Duty: WWII? E3 2017 was full of hints about the future of gaming. TeamSCUF were glued to the screen whenever more information about Call of Duty: WWII was announced. Sony and Sledgehammer Games gave everyone a chance look at November’s most anticipated shooter, and the reactions were very positive. And based on the reactions we saw on Twitter, some of the best pro gamers in the world are just as excited as the general public. The overall theme was one of anticipation of the gameplay, the multiplayer, and of course: the “boots on the ground”. Impressed by the initial footage of #CODWWII. Early days, however I think we may be set for a splendid year with @SHGames. Here comes all the speculation of a new game with absolutely no basis at all. Don’t judge it until you’ve played it for ~2 months boys. What do you think about Call of Duty’s upcoming release? Are you looking forward to boots on the ground, or will you miss the warm hum of your combat rig? 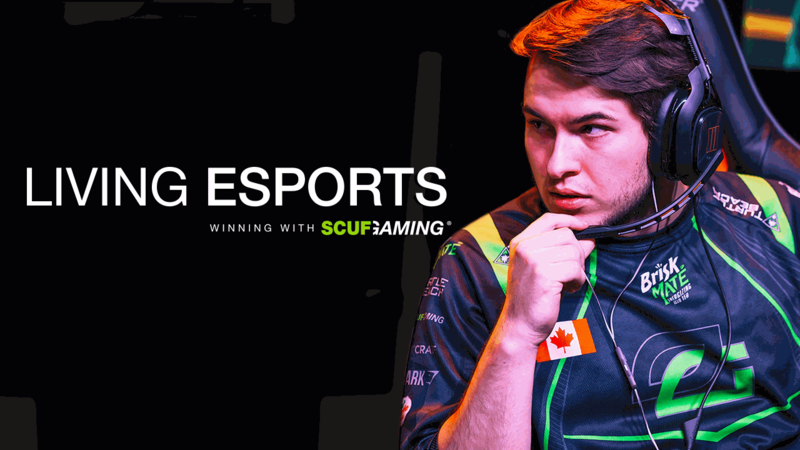 Follow SCUF on Twitter and let us know! 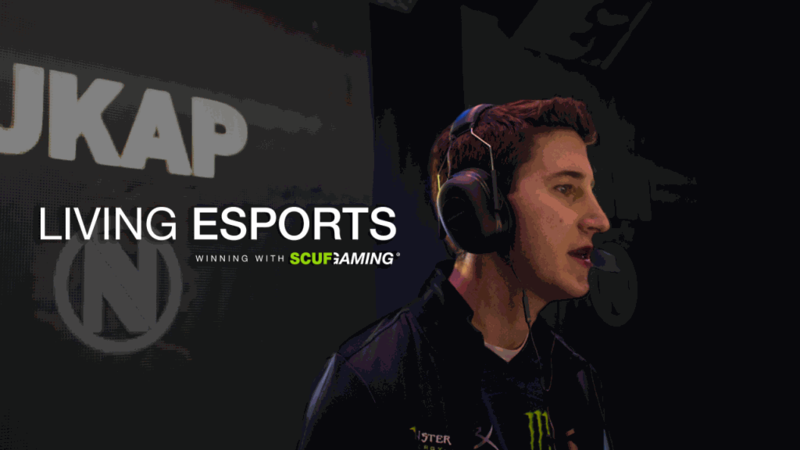 This week’s profile focuses on one of the most successful, skilled, and versatile players Call of Duty has ever seen – Jordan ‘JKap’ Kaplan. JKap’s break into elite-level Call of Duty came on Modern Warfare 2, a game on which he would be considered arguably the best in the world. In the era of Major League Gaming’s Pro Circuit Ladders, which made up the majority of the season, JKap played for the already legendary Xtravagant, alongside Raymond ‘Rambo’ Lussier and Will ‘BigTymer’ Johnson. 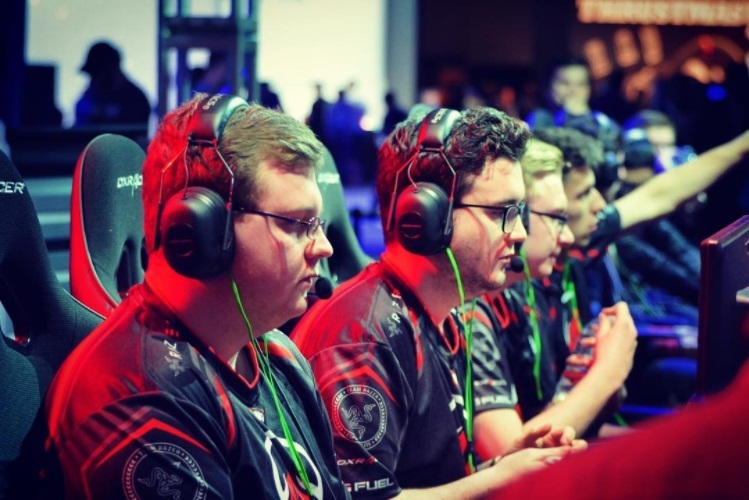 The squad had a marginally disappointing end to the season, only managing a third-place finish at the MLG National Championships in 2010, an event they’d set their sights on winning. As Modern Warfare 2 wrapped up they went their separate ways, but through a series of roster changes the team would ultimately find itself more or less reformed under OpTic Gaming, with Joe ‘MerK’ DeLuca joining the former Xtravagant trio. 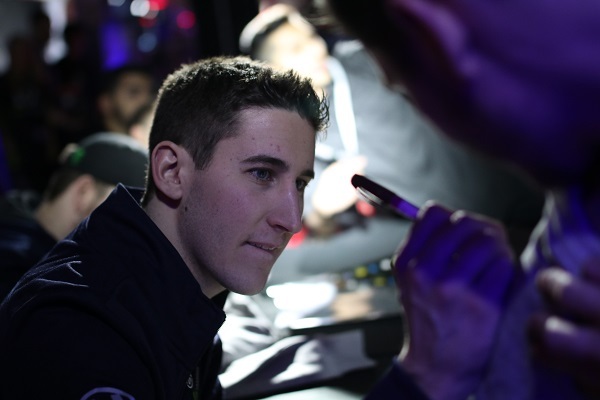 Now representing the Green Wall, JKap would help take the team to their greatest heights yet, a dominant force throughout a season in which JKap himself was named the greatest player in the world, for a second consecutive year in the eyes of many, even eclipsing the prodigal talent of his future team-mate Seth ‘Scump’ Abner. Having taken a year away during the turbulent Modern Warfare 3 season, JKap returned to competition as part of Team EnVyUs in Black Ops 2, the organisation he would become in many ways intrinsically linked to over the course of his career from then on. 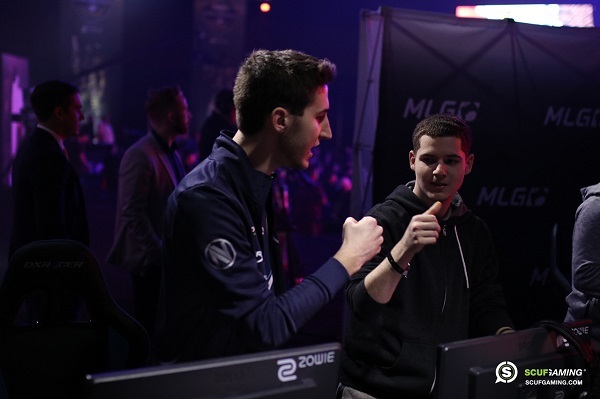 JKap has played for Team EnVyUs since the second half of Advanced Warfare, making this stint with the team his longest, just a few months shy of three years. Over that period he’s been part of various iterations of the roster, but the current squad are the reigning Call of Duty World Champions, having earned the title at the end of Black Ops 3. Over the course of the organisation’s history, JKap has played a role in many of EnVy’s greatest achievements, from their appearance in the Black Ops 2 Call of Duty Championship finals, to their ascendance at the end of Ghosts, to the rise that lead to a Call of Duty Championship title at the end of Black Ops 3. As a result, JKap has become almost synonymous with EnVyUs. While several star players have come and gone over the years, and JKap has himself parted on several occasions, when you think of EnVyUs in Call of Duty it’s hard to ignore JKap’s presence. Very few players are as accomplished in Call of Duty as JKap – in fact, he currently stands as the most successful player of all time in terms of prize money earned. 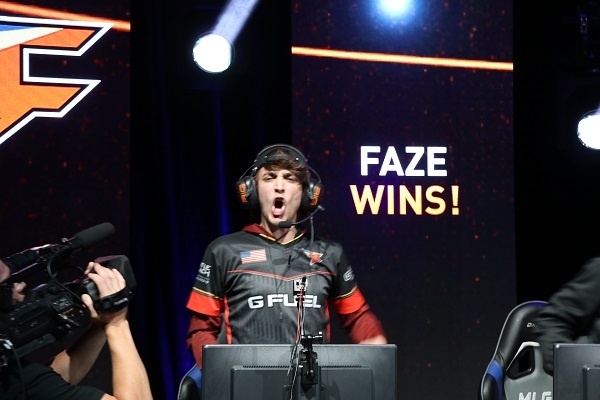 That title is born primarily of another accolade that he shares with just one other player – JKap has won the Call of Duty Championships twice. Both follow a surprisingly similar narrative. 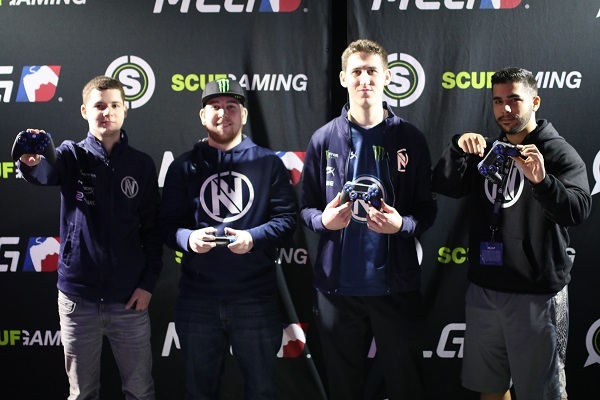 JKap’s squads – Denial in Advanced Warfare and EnVyUs in Black Ops 3 – had established themselves at the top of the food chain, but still under the shadow of OpTic Gaming in the minds of most spectators. 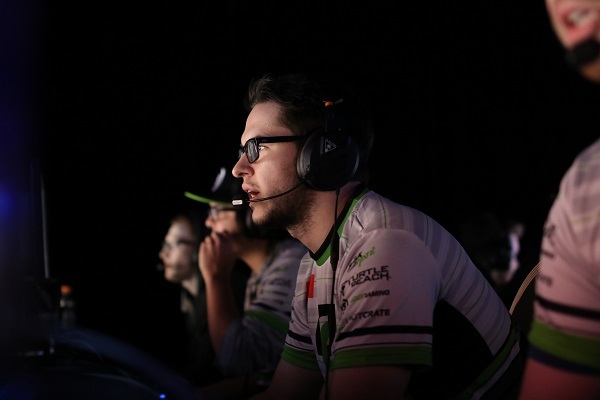 Both times, come the most important event of the year, they matched up against OpTic Gaming in the very first round of the play-offs, and both times they pulled off a victory to progress, playing a major role in denying OpTic the championship they most crave. On both occasions they went on to play a surprise underdog in the grand finals, and both times emerged victorious. One of the aspects of JKap as a player that’s most remarkable is the change his playing style has undergone over the course of his career. Through Modern Warfare 2 and Black Ops, JKap was a superstar. Supremely skilled, he dominated with an Assault Rifle in a fashion that made him universally hailed as one of if not the best player in the world on both titles. At his individual peak, JKap hit a level that only an exceptional few will ever reach. Over the years, however, JKap hasn’t remained the greatest in the world on an individual level – holding onto such a title for so long is approaching the impossible, especially as new players come up, the level of competition rises, and the games themselves change in fairly significant ways. JKap’s genius, instead, has shown in his ability to adapt. Though he may no longer be capable of dominating through sheer skill, he’s become an integral part of his teams in other ways. Nowadays, he’s a much more supportive player, stepping aside for other stars on his squads and instead filling the gaps to allow them to shine. It’s meant that rather than slipping from the top, unable to keep pace in a role that’s relies on him taking over games, his position among the elite is arguably stronger than ever before, and he’s in some ways become even more successful thanks to his willingness to do whatever is necessary to win – even if that means a little less personal glory. As a result of the many years he’s spent at the highest level of Call of Duty, it’s inevitable that JKap has become one of the more prominent figures in the game. However, despite the spotlight he could quite easily occupy, JKap is generally among the more reserved players in terms of his public demeanour. That isn’t to say that JKap is camera-shy; in fact, he recently appeared alongside three other professional players on other games as a member of a fictional esports team in an episode of ‘Elementary’, a US-based TV adaptation of Sherlock Holmes. JKap also streams to nearly 100,000 followers on Twitch, and has in the past developed a YouTube channel with over 100,000 subscribers. 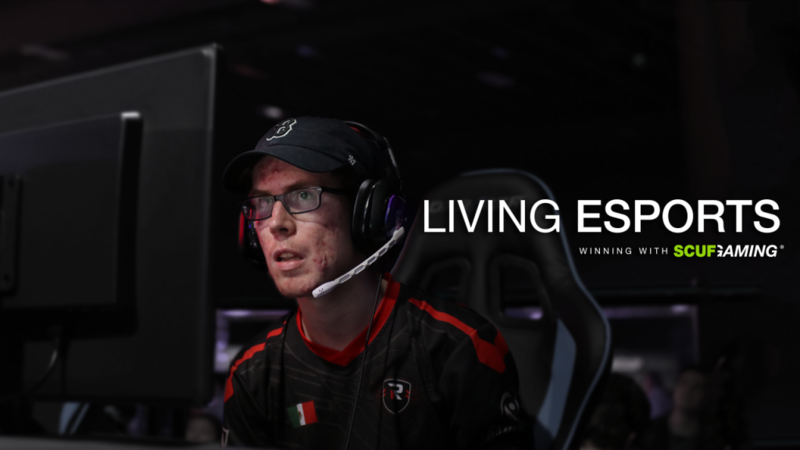 Learn about this champion’s motivation from the man himself with Living Esports! This week’s profile takes a look at Elevate’s Jordan ‘Reedy’ Reed. As with many of Europe’s prominent players, Reedy made his start on the domestic circuit, rising from the proving grounds of EGL events. Reedy’s first big results came towards the end of Call of Duty: Ghosts, when he found himself competing alongside Rhys ‘Rated’ Price, a player who would feature on several of Reedy’s squads over the years, as part of Exertus. The team would reach the final of EGL 13, an important milestone in Reedy establishing himself among Europe’s elite. 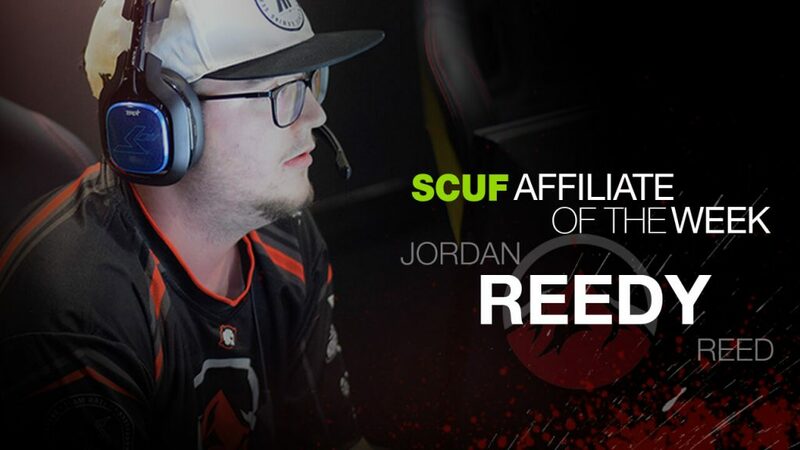 Over the course of Advanced Warfare, Reedy solidified his position among the upper echelons, playing alongside the established elite and appearing in several finals over the course of the season, also picking up his first event wins with Epsilon. Since then, he’s remained on Europe’s premier teams, competing in every season of the Call of Duty World League as well as attending his first Call of Duty Championship during Black Ops 3. For Infinite Warfare, Reedy has represented Elevate, who acquired Reedy’s European roster following the release of their North American squad from the previous title. The team got off to a promising start, attending the CWL Vegas Open and making their way into pool play from the open bracket. The team ultimately finish top-12, eliminated by the formidable OpTic Gaming. 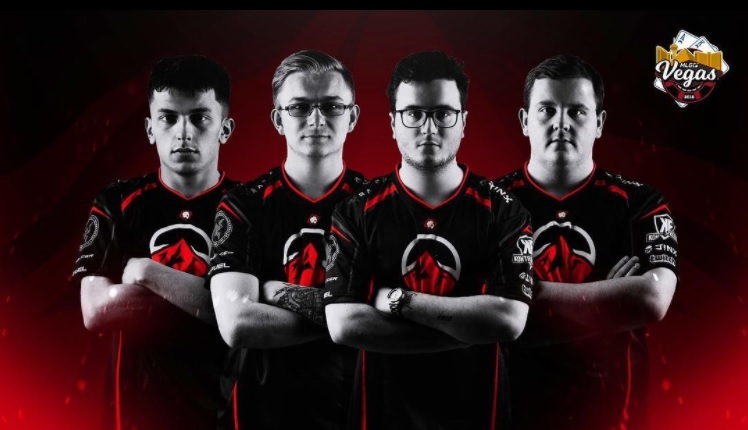 It was a solid starting point, from which Elevate were able to qualify for the all-important Global Pro League, notably picking up a third-place finish at the CWL London Invitational along the way. Coming in, however, the team were largely overlooked, with expectations for the squad lowered further by their openness about a lack of team practice prior to their group stage. Despite this, the Elevate squad performed well in Group Green, putting on a solid showing against OpTic Gaming in spite of their ultimate defeat on both occasions. In the end, the squad were able to finish third, taking down fellow Europeans Red Reserve to secure a spot in Stage 2, a pool play position at the upcoming CWL Anaheim and a guaranteed place at this year’s Call of Duty Championships. While Reedy has found plenty of success over the course of his career to date, in many ways he’s still searching for that one big win. Where several of his former team mates have collected that major title or carried the torch for Europe at international events, somehow things have never quite fallen into place for that single, defining moment for Reedy. There is, however, a kind of quieter distinction achieved by Reedy, the kind that comes from the pursuit of excellence itself, the unrelenting drive towards success. Reedy may at times be overlooked for lacking that marquee win, but he has been a constant presence at the elite end of Call of Duty for several years now, and his efforts having taken him to finals and trophies, as well as playing a part in forcing his contemporaries to elevate their own game. Reedy has come under his fair share of criticism at times for his performance in-game, but there’s a reason he remains near the top of European Call of Duty. While he’s rarely the flashiest player, or the one at the top of the score-board, that’s not the role he needs to play to ensure success. Not everybody can be the most prolific slayer in the game, there simply aren’t enough kills to go around. Some players shine in this role, but in order for them to do so they need space, support, and team mates who are willing to sacrifice their own stat line for the success of the team. They need players like Reedy. Reedy has long been one of the more outspoken professional players, not just in Europe but in the world. Where it can be easier and in some senses more profitable to take the path of least resistance and focus on building popularity, Reedy has never been afraid of speaking his mind. It may not be a route to becoming the best-loved player in the world, but if there’s one thing that can be said for Reedy it’s that you know what you’re getting. He’s not frequently caught holding back when he has an opinion, and while that can make him a controversial figure at times, brutal honesty – particularly in combination with Reedy’s naturally opinionated manner – can offer a fresh take where others are often content to comply with the status quo. This week’s affiliate profile looks at Daniel ‘Loony’ Loza, team captain for Rise Nation. While Loony had a presence in Call of Duty earlier, his real break-out year was Call of Duty: Ghosts. 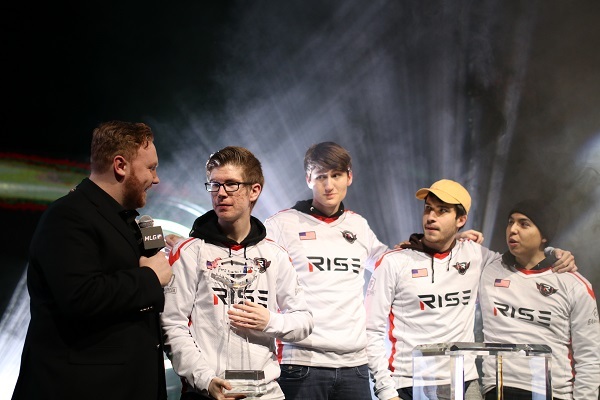 As part of the very first Rise Nation roster, he placed in the top-eight of the Call of Duty Championships and remained among the upper echelons for most of the season. The squad, however, wasn’t a championship threat, so at the start of Advanced Warfare Loony moved to Team Kaliber, who at the time were among the more prestigious squads. After another top-eight finish at CoD Champs, he was picked up by EnVyUs, where he remained until the end of the season. Despite never putting hands on a trophy, the EnVyUs squad that finished out the season was among the most dangerous in the world, and might have made a much greater impact had they not frequently come up against OpTic and FaZe, the titans of the day. Loony’s true ascension, however, came during Black Ops 3. Now back under Rise Nation, his new squad would battle OpTic Gaming for the top spot in the first half of the season, taking victory at UMG South Carolina and remaining within the top-four for the majority of the season. Loony is now well into his second season of continuous play under the Rise Nation banner. He re-joined the organisation at the start of Black Ops 3 and has remained there since, but coming into Infinite Warfare the roster received a major overhaul. 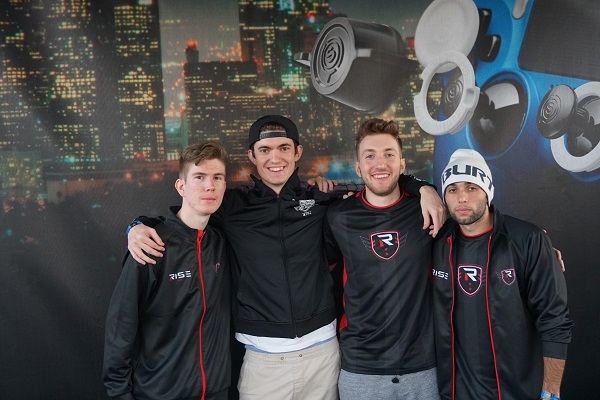 The rest of the championship-winning Black Ops 3 roster departed, leaving Loony alone to pick up three members of the Elevate squad from that year who had hung near the top, but never quite managed to lift a trophy. At the start of Infinite Warfare that would change almost immediately, with Rise taking the CWL Vegas Open. Unfortunately, since then the team’s fortunes have steadily declined, culminating in a failure to qualify for the CWL Global Pro League Stage One play-offs. As a result, the future of this squad is becoming increasingly uncertain, but over the past few years Loony has proven himself one of a fairly exclusive group of players capable of winning major titles. Loony’s crowning achievement to date was arguably his victory at the aforementioned CWL Vegas Open. The new squad were incredibly hot in the first major event of the year powering through the tournament to the grand final, where they beat Cloud9 for a second time to take the victory. It was in some ways also a moment of personal vindication for Loony, who in the process had taken down his former team-mates, now under Luminosity, in a head-to-head winner bracket match. Not only had he beaten his former squad, he’d proven that he could be a champion, and that he could lead a team that had never won before to their first victory. Most comfortable with an SMG in his hands, Loony is at his most effective when he has other stars to play around. While he’s occasionally come under criticism for inconsistency in a statistical sense, when his teams are functioning properly he shouldn’t be the primary point of focus. Instead, Loony’s impact comes two-fold – in his ability to support and facilitate his star players, and also in the occasional high-impact games in which he’s capable of taking over completely. In this sense, Loony shouldn’t be considered a traditional “carry” player, and be expected to put up incredible numbers on a consistent basis. That’s not his job – instead, he’s the player who is going to put teams over the edge in key moments with explosive play. It’s this high-impact potential that’s helped Loony collect trophies with two entirely different squads in the past two seasons. Loony has long been among the more reserved players in terms of his approach to the public spotlight. Though he’s quite happy to give an interview during the course of an event, outside of competition he hasn’t thrown himself into the media aspects of being a professional player in the same way as some others have. 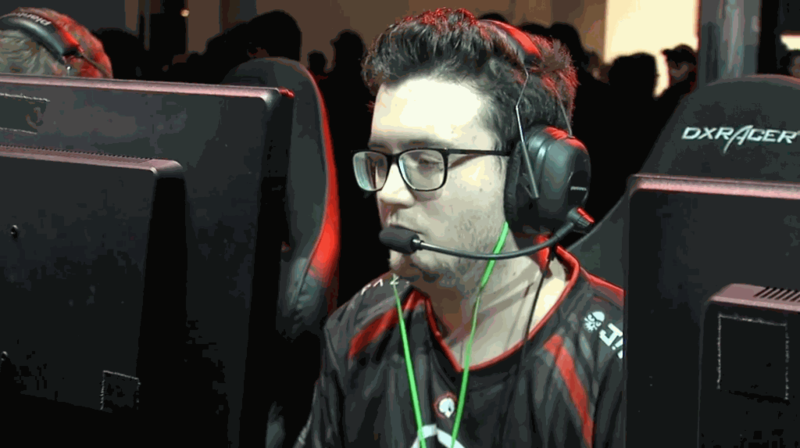 Being one of a relatively small group of players that have appeared in multiple grand finals over the last couple of years, Loony is naturally a well-recognized player, boasting over 100,000 followers on Twitter, but where others spend much of their time outside of competition streaming and producing other forms of content to grow their audience, Loony is content keeping away from the cameras for the most part, and then making his impact on stage. Visit Loony’s Living Esports page for a closer look into his process and what makes keeps him in the winner’s circle! 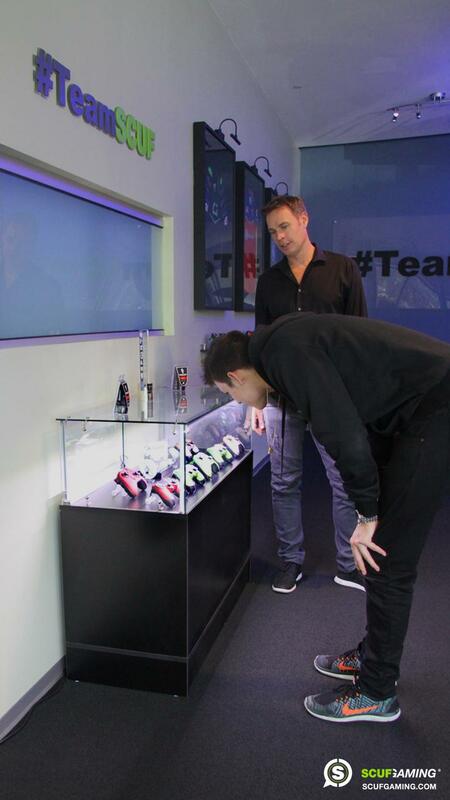 Pamaj Takes Over SCUF HQ! 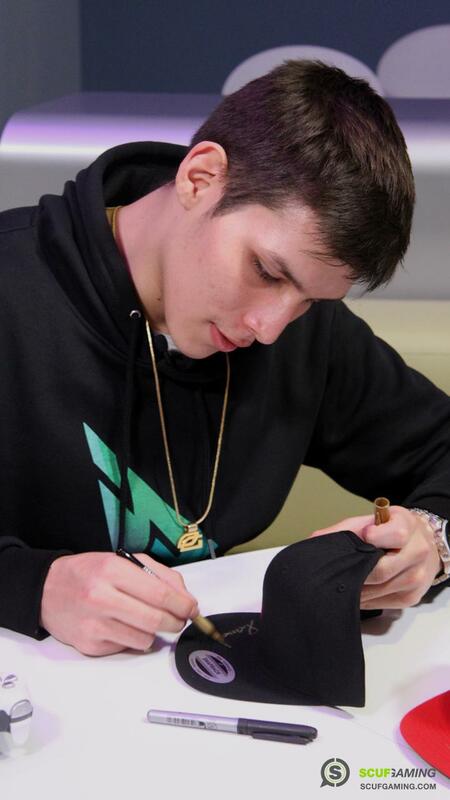 This Tuesday, Pamaj surprised his fans with an unexpected trip to SCUF Headquarters in Atlanta. But the infamous OpTic Gaming sniper was here for more than just a friendly visit: he had arrived for the launch of his new controllers for both IMPACT and Infinity1. The Pamaj SCUF 2.0 had been a closely-guarded secret for months, but now that Pamaj was in-house, it was the perfect time to unveil these beauties. With a partnership that has spanned over 4 years, Pamaj has been an affiliate that’s stood by Scuf Gaming since its earliest days. This faith in SCUF’s innovations and patented technology has led to an evolution of Pamaj-styled controllers: from the SCUF One to the SCUF 4PS to this latest piece of firepower. Inspired by his Canadian lineage and his new found home in the United States, this controller comes in two variations, each bearing the flag of one of his homes. 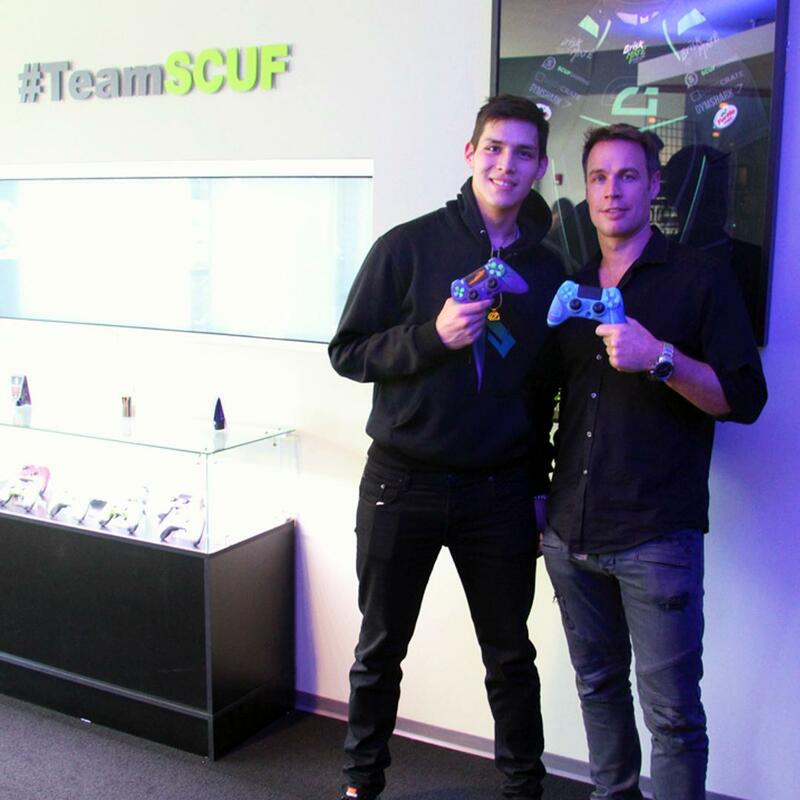 Pamaj got a firsthand look at the SCUF workshops with a behind-the-scenes tour provided by Scuf Gaming CEO, Duncan Ironmonger. After watching the process of each controller being made by hand, Pamaj tried his hand at it, crafting one of the first Pamaj SCUFs himself. Afterwards, he set up a gaming station and tested out his new SCUF IMPACT controller on Call of Duty: Infinite Warfare. His answer? “Not at all. …Everyone who does what they really love to do, they never really expect it to be what it is. …it’s so far-fetched, it’s like a dream.”He went on to answers questions about hockey, his favorite career moments, careers that he’s considered outside of gaming. Oh, and which member of OpTic Gaming would he choose to be roommates with in a much smaller apartment? Watch the video to find out! Before saying goodbye to Atlanta, Pamaj left a few lucky fans with something special: signed Pamaj hats for the first 40 customers to purchase a Pamaj controller. 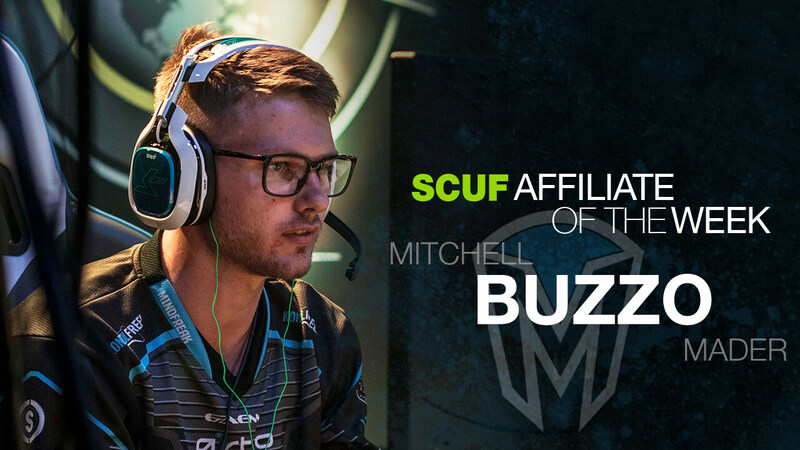 In this week’s affiliate profile we’ll be looking at an Australian Call of Duty legend, Mindfreak’s Mitchell ‘BuZZO’ Mader. BuZZO has been an ever present in the Australian Call of Duty scene and has consistently won titles since he emerged on the scene many moons ago. Best known for competing with Mindfreak, BuZZO has also enjoyed stints as part of a number of other outfits, including the short-lived apeX.anXiety, a sister team to the many North American and European apeX rosters. BuZZO later established himself as part of Team Immunity, before transitioning into Mindfreak where he’s been a permanent fixture for almost three years. For well over two years now, BuZZO has been a part of Mindfreak, perhaps the greatest Call of Duty team Australia has ever produced. They’ve dominated domestically, hardly even challenged in their position at the top since their inception. Since the release of Advanced Warfare, they’ve been almost undefeated on home soil. This year, however, a new challenger arose from within their own ranks. Star player Denholm ‘Denz’ Taylor left the team, looking to form a new Australian dynasty as part of Tainted Minds. 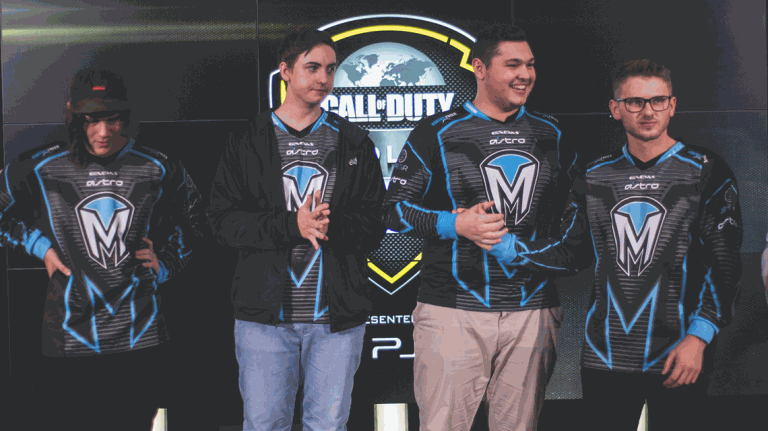 BuZZO and co endured, however, retaining their top spot with a win at CWL Sydney and subsequently securing the APAC spot in the CWL Global Pro League. There, they put up an impressive fight against the likes of EnVyUs and Splyce, while out-performing Cloud9 to avoid relegation. When it comes to international competition, the APAC region has long been overlooked. While they may not be quite on the level of the truly elite yet, Mindfreak are leading the charge in making their region competitive on the global level. It’s easy to look to BuZZO’s trophy cabinet for a highlight moment – by now, it’s practically overflowing from domestic success, with Mindfreak having won CWL Sydney this year, both stages of the ANZ CWL last year, and a myriad of other domestic events stretching back through Advanced Warfare. The consistency of such results over such a lengthy period is certainly an epic achievement in itself, but to select a single event that stands out, you perhaps have to look outside Australia, and set the bar a little lower than total victory. Domestic success, particularly in the fashion Mindfreak have managed, is impressive, but the greatest challenge is on the international stage – and at the pinnacle of international competition is the Call of Duty Championships. It was here, in 2015, that BuZZO’s Mindfreak came sixth, out-placing the likes of EnVyUs, Team Kaliber, and the legendary OpTic Gaming while finishing as the highest-placing team from outside of North America. Despite not reaching the trophy they’re so accustomed to receiving at home, the result was a demonstration that APAC teams had the potential to compete with the best in the world, something no amount of domestic success could show by itself. BuZZO usually plays a similar playstyle to that of fellow veterans like Proofy or Swanny, typically an AR anchor type role. With the switch to the jetpack Call of Duty games, there has been less demand for this type of slow, methodical play and subsequently BuZZO has had to adapt. There’s still elements of this classic play in his game but certainly he’s adapted to the more run and gun type game play we’re seeing with the current iterations of Call of Duty. BuZZO is something of a captain figure for his team but doesn’t really occupy the typical “hype-man” role you associate with the team leader, and leaves that to his mate mates to take up. 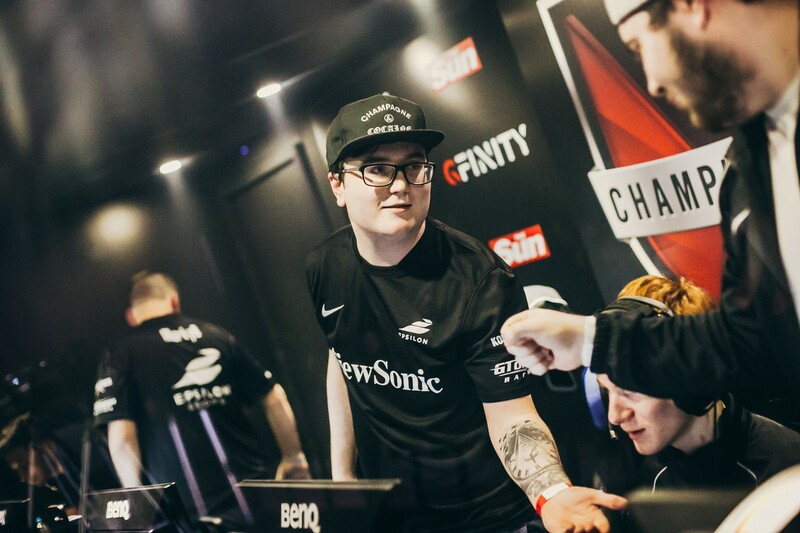 His role in the team means that he’s most likely to engage with players who occupy a similar AR role in their teams, such as Assault for Cloud9 or Clayster for FaZe Clan, and his ability to win these crucial gun fights that often lead to large portions of the map being locked down are pivotal to the success of Mindfreak. Given his more traditional playstyle, it’s likely that a move back to Boots on the Ground Call of Duty will suit BuZZO extremely well. Expect even more from the Adelaide based pro next year. BuZZO is arguably the face of modern Australian Call of Duty, having been part of the all-conquering Mindfreak team that have led the APAC scene for many years now. In his time in Call of Duty, BuZZO has seen it all and done it all, having clashed with the best the game has offered since his rise to the top of the APAC region. He has also had the fortune of learning from the biggest names that his region has had to offer. The torch has since been passed and BuZZO has graduated into the poster boy for the Australian and APAC Call of Duty region. In interviews BuZZO is composed, well-articulated, honest and often critical of himself and his own performances. He effortlessly exudes confidence, while displaying a deep understanding of Call of Duty. It is this confidence and understanding that have elevated him to becoming the star that he is today. In this week’s affiliate profile, we’re looking at one of the greatest and most successful Call of Duty players of all time, the original Two Rings himself, Damon ‘Karma’ Barlow. For a player who would become one of the greatest and most successful of all time, Karma didn’t have the explosive start to his career that you might imagine. His break into the professional level came with the original Black Ops, during which he would be picked up by Raymond ‘Rambo’ Lussier to play under the legendary Xtravagant. Unfortunately, the team didn’t quite live up to the heights reached by the name in years past, with a respectable but not spectacular fifth-place at the MLG National Championship as their best showing to round out the year. It wasn’t until Black Ops 2 that Karma really broke through as the super-star he is now known to be. At the start of the season he found himself on Fariko.Impact, and with the addition of Chris ‘Parasite’ Duarte and Marcus ‘MiRx’ Carter, they became an unstoppable force, with Karma leading the way. No longer was Karma just another pro – for much of that year, he was considered the best player in the world. 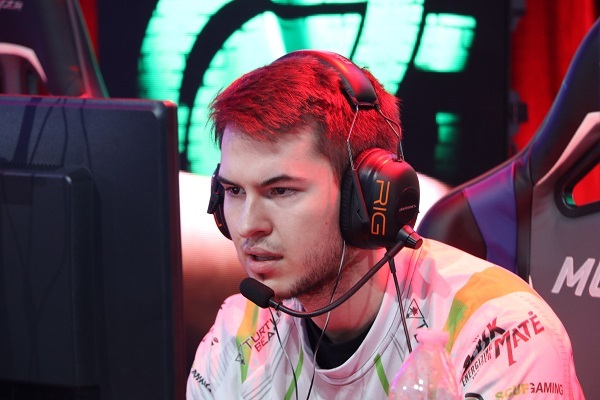 Since then, Karma has remained at the very top of the Call of Duty world, and his time with Impact combined with his part in both the compLexity and OpTic Gaming dynasties has meant that Karma has played a major role in defining the game over the course of his career. For more than two years now, Karma has made his home on OpTic Gaming, having transitioned to the organisation’s premier squad following a stint with an ill-fated OpTic Nation roster. Today, he’s part of the longest-standing Call of Duty roster – not just playing currently, but of all time. There’s a reason for their longevity: this is arguably the greatest Call of Duty squad in gaming history. Since the formation of this roster, they’ve been the number one team in the world almost without exception. 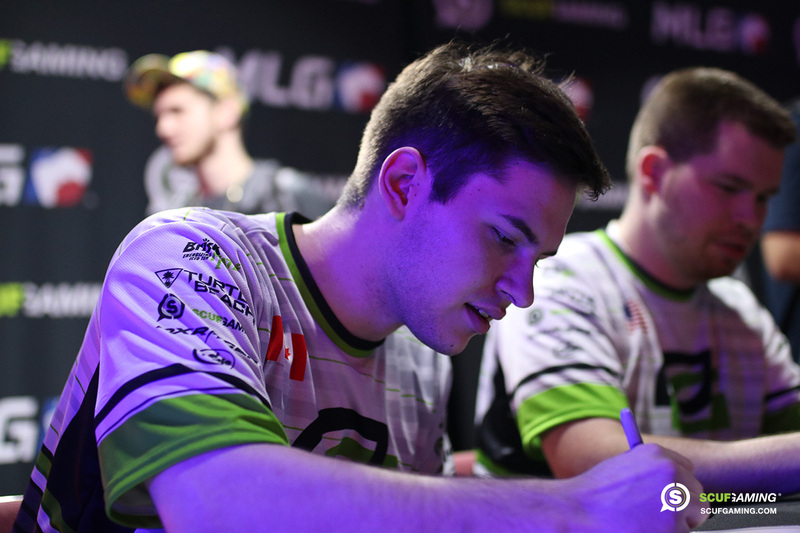 Over the course of their time together – a period of more than two years spanning three Call of Duty titles – Karma and OpTic Gaming have collected more major event wins than every other team in the world combined. To this day they remain the dominant force in Call of Duty: the only squad on Infinite Warfare to have won two major events, and the only team to have appeared in three major finals. They have won more championships than any other team in history, and the gap is only growing. For a player as successful as Karma, picking a single moment as a high water-mark in their career is always a challenge. For those that have managed it, there is a particular accolade that holds greater prestige than any other – Call of Duty World Champion. Winners of the Call of Duty Championships and bearers of one of those coveted rings already belong to an exclusive club. Karma, however, is even more of a rarity – he’s one of only two players in the world to have won the Call of Duty Championships twice. Which begs the question – which was the greater victory? Was it his first, when his Fariko Impact squad became the very first World Champions on Black Ops 2, during which Karma was hailed as the greatest player in the world? Or was it the year after, as part of the unstoppable compLexity, when he became the very first repeat champion? Whichever accomplishment you hold in higher regard, ultimately you can only marvel that the question even needs to be asked. Few players will ever have the privilege of having to ponder which of their Call of Duty Championships wins was ultimately the greater achievement, and from the position he’s currently in, Karma may yet add even more to the list. Karma has been playing for long enough that his play-style has fluctuated at times. He’s one of few players capable of being effective in almost any role depending on the needs of his squad, so his play has at times varied to the requirements of his team. The characteristic that has always prevailed, however, has been his game sense. When he became the best player in the world during Black Ops 2, it wasn’t just his immense skill with an SMG, but also how he moved around the map that separated him from his peers. When he’s taken a more secondary role behind the star players of either compLexity or OpTic Gaming, he was still always capable of making a huge difference by recognising the gap he needed to fill and doing so, as well as being able to come up with the big play to save his team when necessary. Karma’s mind for Call of Duty seems almost unique, and it’s what has made him such a consistently successful and adaptable player. Technically speaking, the “optimal” way to play is to make decisions with the highest probability of success, and yet if you watch Karma closely enough you’ll notice that he doesn’t always do so. Instead, he seems to have an intuitive sense for the game that allows him to make decisions that most players wouldn’t. It’s this sense that allows him at times to transcend the “proper” approach and pull off plays that the majority of players couldn’t even conceive of, and also why Karma has long been one of the most exciting and fascinating players to watch. As one of the greatest and most successful players of all time, Karma was always destined to become a Call of Duty celebrity. In many ways, it might have been easy to play the villain – he did, after all, play for two of the most controversial teams of all time in Impact and compLexity. Despite this, Karma’s easy-going personality meant that he never embraced the role of antagonist, preferring to simply carry on with his own business. Though his talent in-game made him a figure who couldn’t be ignored, it was perhaps joining the enormously popular OpTic Gaming that super-charged his public profile. With the Green Wall behind him, today Karma boasts a massive 542,000 Twitter followers, streams regularly to his 211,000 Twitch followers and produces video content on a slightly less frequent basis for his 217,000 YouTube subscribers. SCUF’s Send In Service Is Back For The PS4! 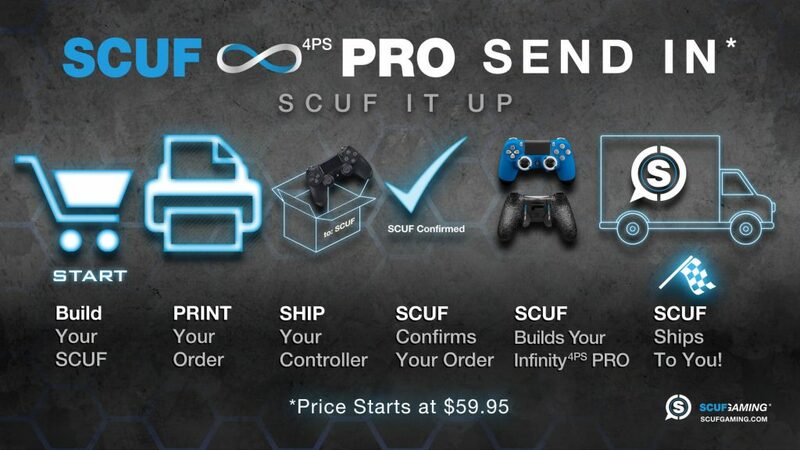 Scuf Gaming’s Send In Service for PlayStation 4 has returned! Do you have a regular Sony PS4 Dualshock PRO (2.0) controller in your collection gathering dust? With SCUF’s Send In Service, you can turn your standard PlayStation 4 PRO controller into a SCUF Infinity4PS PRO, complete with Scuf Gaming’s patented innovations. SCUF Up Your PlayStation4 Controller! This week’s affiliate profile takes a look at Matt ‘NaDeSHoT’ Haag, one of the most prominent Call of Duty players of all time and a name that still resonates with fans more than two years since his last appearance at a major competition. Nadeshot started his Call of Duty career young, competing as early as Call of Duty 4: Modern Warfare. His rise to prominence, however, truly began on Modern Warfare 2, when his squad became the very first roster fielded by OpTic Gaming. 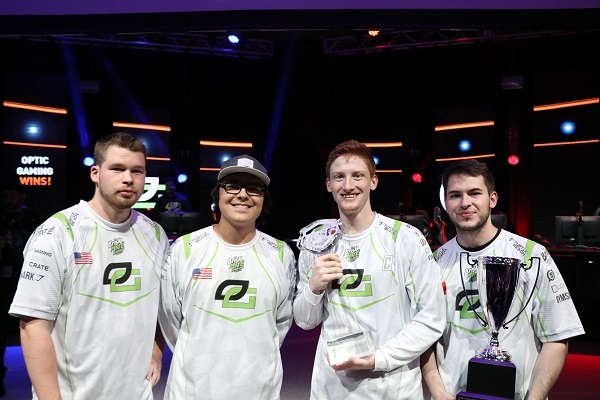 Even at the very start of their journey into competitive Call of Duty, the power of the OpTic brand meant that the team was immediately one of the most popular on the circuit. This was a time, however, in which rosters were immensely unstable, and come the next season Nadeshot found himself cut from the squad. Though it may not have seemed it at the time, the decision was perhaps a blessing in disguise for Nadeshot. Unwilling to let go of a player in whom he saw potential, OpTic owner Hector ‘H3CZ’ Rodriguez offered for Nadeshot to retain a position as a member of the organisation, encouraging him to focus on building himself into a personality and even granting him a second team under the organisation at times. While he continued to compete, Nadeshot also focused on making a name for himself on YouTube, the first pro player to really attempt such a thing. Then, come Black Ops 2, a perfect storm of circumstance saw his career take a dramatic leap forward. 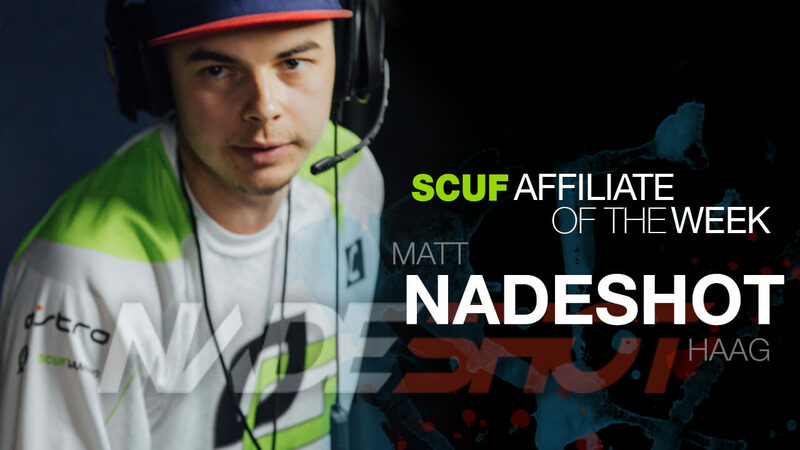 Nadeshot found himself back on the primary OpTic Gaming squad, the most popular on the circuit. With them, he won the very first event of the season, UMG Chicago, raising the profile of the team even further, and with the groundwork already laid, Nadeshot became the most prominent player in the world as competitive Call of Duty saw its most significant growth to date. In April of 2015, Nadeshot took a step down from competing with the OpTic Gaming line-up. 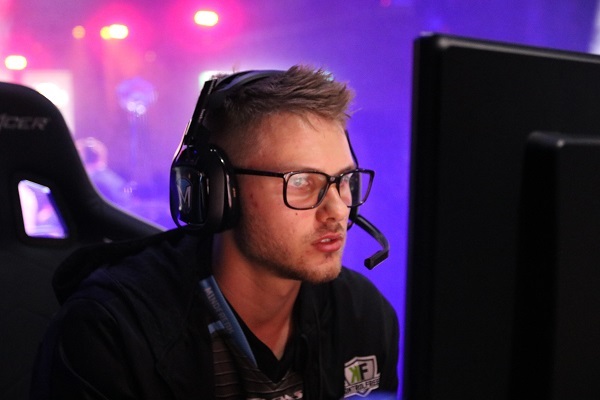 The move came following a disappointing result at the Call of Duty Championships, in combination with the immense pressure he felt to perform on a roster that had perhaps the highest expectations placed upon it of any team in Call of Duty history. Nadeshot originally suggested that a return to competition was likely at some point, and that he wasn’t retiring but instead taking a leave of absence, but he hasn’t competed at an event since. Though the name Nadeshot was once almost synonymous with OpTic Gaming, in recent years that connection has faded somewhat, stepping away from the green wall in order to focus on his own sizable brand. Nadeshot dabbled in team ownership with the ill-fated Hundred Thieves, but after the original roster departed little more has been heard from the organisation. More recent hints, however, suggest the clothing line that the name was originally intended for might be on its way. Fans of Nadeshot as a competitor should not give up all hope of seeing him back on a main stage in the future. He has, in the past, suggested that he would be open to competing at the inaugural event on a boots-on-the-ground title, and with Call of Duty: WWII now on the horizon, it’s not impossible that we could see a return in the not too distant future. As part of OpTic Gaming, Nadeshot played for one of the premier Call of Duty teams for several years, not just in terms of fan-base, but by success as well. Nadeshot competed among the elite on many titles, but his crowning moment was arguably the part he played in the fall of one of the most fearsome teams of all time. Towards the latter end of the Call of Duty: Ghosts season, compLexity were at the height of their powers. They hadn’t lost a single major event on the game, they’d won the Call of Duty Championships without even breaking a sweat, and it didn’t look like anyone else was particularly close to knocking them off their pedestal. With the squad’s stock at perhaps an all-time high, it was with the acquisition of that roster that Evil Geniuses stepped into Call of Duty. The next major event would be MLG X Games, the very first time the X Games would feature an esports tournament. An X Games medal was up for grabs, making it one of the most prestigious events of the season. The brand new Evil Geniuses squad were the heavy favourites to win, but Nadeshot’s OpTic Gaming stole their title. It was the first blow that began Evil Geniuses’ descent from the throne, and an epic victory for Nadeshot himself, who not only proved that he was a championship-calibre player, but did so against one of the greatest teams of all time, and in some ways a personal rival. In game, Nadeshot was never the super-star player, but that doesn’t mean he had nothing to offer. In Nadeshot’s most successful years, the game didn’t require every member of a team to be an unbelievable slayer. The “objective” role was very real – someone had to do the dirty work that allowed players like Seth ‘Scump’ Abner, long time team-mate of Nadeshot, to shine. 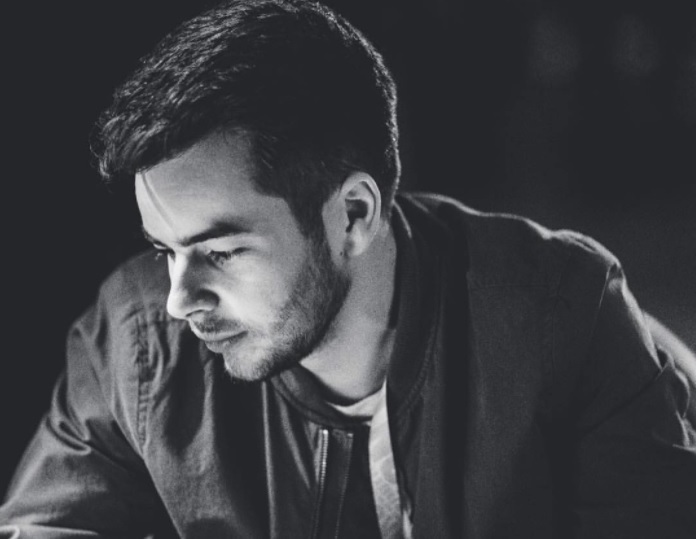 In this, Nadeshot was one of the most effective in the world, because while he may not have been the most mechanically gifted player on the circuit, Nadeshot had a great mind for the game. Also a very vocal player, Nadeshot matured into a solid leader as well, enabling him to rally his team and call plays at critical moments. It’s always harder to quantify the impact of a player like Nadeshot than with the game’s premier slayers. It’s not as simple as looking to the kill column. Though Nadeshot’s impact on his teams may have been a little less tangible than some of his super-star peers, it’s perhaps clearest in the position he held at the very top of competitive Call of Duty over a number of years. 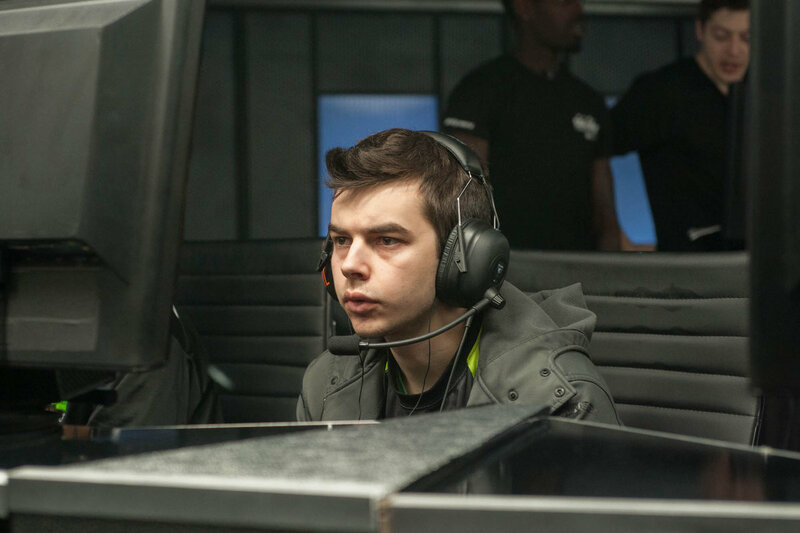 As Call of Duty’s pre-eminent personality during his time competing, Nadeshot paved the way for the celebrity status now enjoyed by the game’s top players. 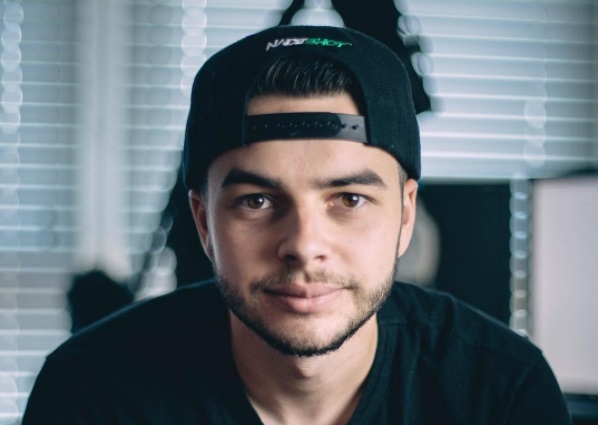 Starting a YouTube channel with the backing of the OpTic Gaming brand and later one of the earliest adopters of streaming as a Call of Duty pro, Nadeshot’s likeable personality and talent for engaging with viewers has seen him not only lay out a path for fellows pro’s to follow, but since transcend the game and ultimately transition into making content creation his full-time occupation. 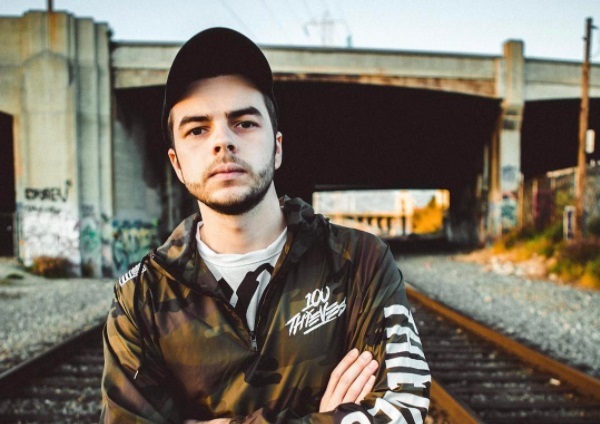 These days, Nadeshot remains one of the most popular gamers in the world, boasting nearly three million subscribers on his primary channel, nearly an additional million on his secondary gaming channel, and over two million followers on Twitter. This week’s profile features James ‘Clayster’ Eubanks, one of Call of Duty’s greatest and most successful players. From building dynasties to breaking them, there’s very little Clayster hasn’t done. Among the more veteran players still competing, Clayster made his break into the upper echelons of Call of Duty playing in MLG’s Pro Circuit Ladders on Modern Warfare 2. While Clayster was clearly skilled, taking time off through Black Ops 1 to focus on his education and a shortage of events on Modern Warfare 3 meant that it wasn’t until Black Ops 2 that he truly cemented himself as one of the best players in the world. Having struggled to find a permanent home near the start of the season, Clayster took up the role of anchor, both in-game and out, for a team of younger talents on UNiTE. It was here that Clayster truly came into his own, proving himself one of the most impactful AR players in the game and leading the squad to a second-place finish at MLG Dallas, easily sweeping aside all but the indomitable Fariko.Impact. 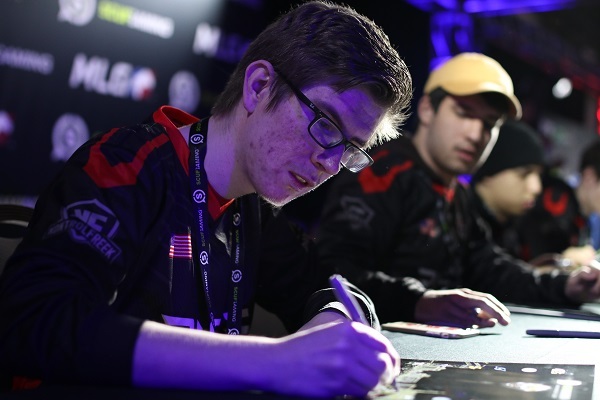 Unfortunately for Clayster, age restrictions for the Call of Duty Championships roadblocked that squad, but after the event he secured a place on compLexity. He was exactly the puzzle piece the team had been missing, and with his addition not only did they end the reign of Impact, they took the throne for themselves, building a legacy that to this day contends for the title of greatest of all time. 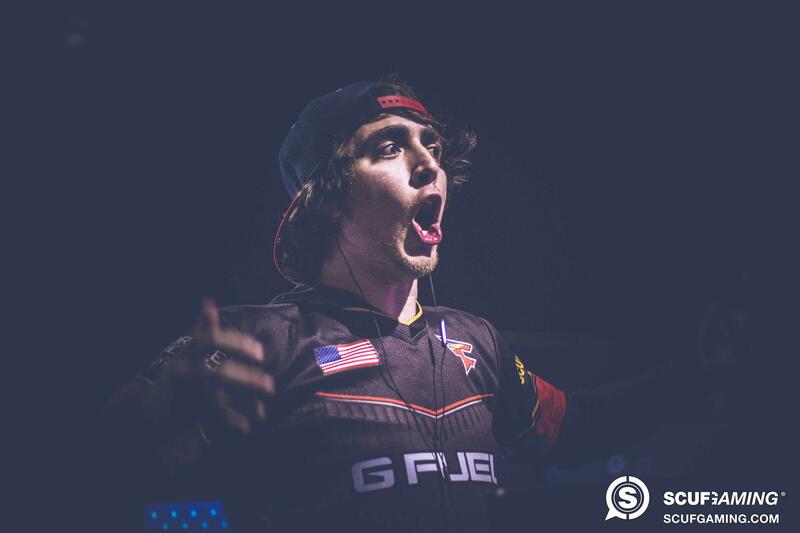 Since his meteoric rise on Black Ops 2, Clayster has seen his share of ups and downs, but in every dip he finds a way to get back to the top, while his peaks have been higher than most players will ever reach. Since the middle of 2015, towards the later stages of the Advanced Warfare season, Clayster has made his home as part of FaZe Clan. The roster was built to challenge an imperious OpTic Gaming in a year in which nobody had been able to consistently go toe-to-toe with the god-squad that had formed for the green wall. 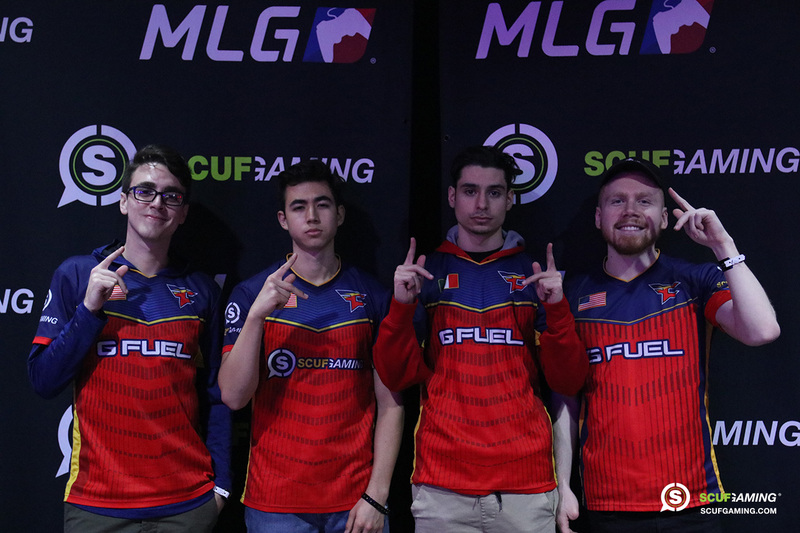 With Clayster and Attach from the Denial squad that had challenged them earlier in the season joining Enable and ZooMaa of the FaZe team that had done so more recently, taking down OpTic Gaming was this roster’s singular purpose. It’s a testament to the calibre of players on this FaZe squad that not only did they manage to beat OpTic, but they did so every single time the two teams met on Advanced Warfare. FaZe successfully denied OpTic of three trophies near the end of the season, meanwhile producing some of the most exciting series of the year. The years since haven’t been quite so successful for FaZe. It speaks to the expectations for this squad that Black Ops 3 can be considered largely a disappointment for them, despite their being considered a top-four team for most of the season. Infinite Warfare has thus far been a step up for Clayster and co, but they’re still yet to collect a major trophy. Finishing in the top-three of all but one event, however, they’re once again on the very cusp of victory. Clayster has a collection of achievements that most players can only dream of, but there’s one that stands out even among those: his victory at the 2015 Call of Duty Championship. There was only ever supposed to be one winner. At the start of Advanced Warfare, OpTic Gaming had formed a god-squad with which none could contend, quickly become the undisputed kings of Call of Duty and fully expected to add the World Championship trophy to their quickly-growing collection. Clayster was part of Denial, who had also been making grand finals consistently, but still were very much considered the best of the rest. When the two teams met in the very first round of the winner bracket, then, it was expected to be Denial headed for an early loss. Instead, Clayster and co defeated OpTic in perhaps the most important match of the season, and ultimately went on to win the title while their rivals only made the top eight. Despite OpTic’s stacked roster of super-stars, Clayster out-shone them all, collecting the MVP award along with his World Championship ring. Clayster has defined himself as one of the greatest Assault Rifle players to ever touch the game. At his greatest, he’s a hard-carry player capable of taking over games single-handedly, but even when he doesn’t need to be a one-man army, he still has an immense impact on his team’s success. Though different titles have varied the degree to which an “anchor” role exists, Clayster has always been a rock for his team to work around. 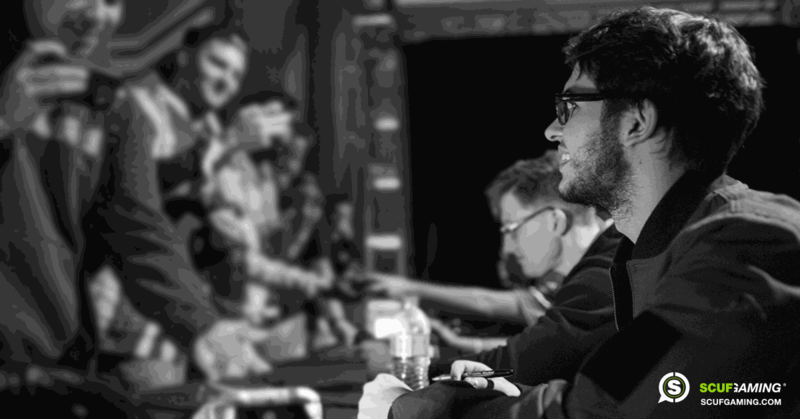 Whether it’s ensuring beneficial spawns, holding down lines-of-sight, or simply killing everything in his path, one of Clayster’s greatest strengths has always been that his impact is not limited to purely his own actions, but extends across his squad in the space he is able to create for his team-mates. Clayster can be one of the most formidable players in the world, but even when he takes a step back from playing the super-star, his presence makes it easier for other stars on his team, supremely talented in their own right, to dominate the game. Opinionated and outspoken, Clayster’s presence outside of the game is almost as great as within. Like many North American pro players, Clayster has embraced the social aspect of professional gaming. As one of the most prominent players in the world, combined with tenure on teams with some of the largest fan-bases in esports such as OpTic Gaming and FaZe Clan, Clayster is one of Call of Duty’s biggest celebrities. Boasting over 678,000 followers on Twitter, 143,000 on Twitch and 287,000 subscribers on YouTube, he’s certainly not without an audience. Equally, he’s one of the more comfortable and confident players in an interview, always happy to speak his mind. 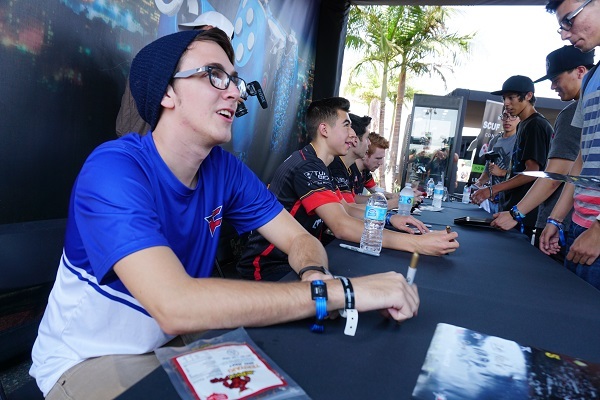 Despite the status that comes with such popularity, Clayster isn’t one to act aloof, more active in interacting with fans than many players on the likes of the competitive Call of Duty subreddit. 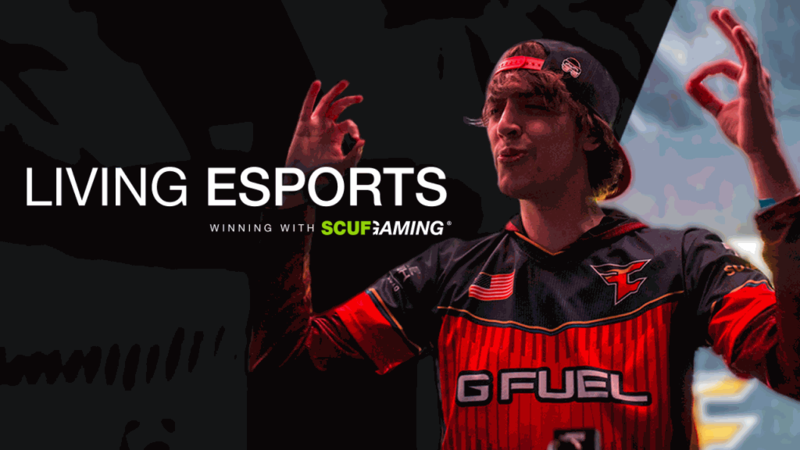 Watch Clayster tell the story of his rise in his own words at SCUF Living Esports!